Aishwarya Lekshmi gets candid with TNIE, about how movies happened, what she sees as her future and signing three movies in a span of a year that too in two languages. 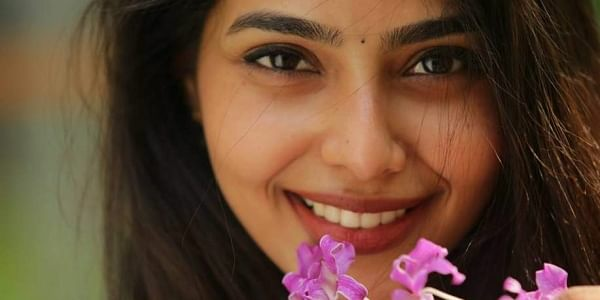 Aishwarya Lekshmi, an MBBS graduate from Kochi, is gearing up for her debut film, 'Njandukalude Naattil Oridavela'. Lekshmi will play Rachel, the female lead opposite one of the biggest stars of Malayalam cinema right now- Nivin Pauly. 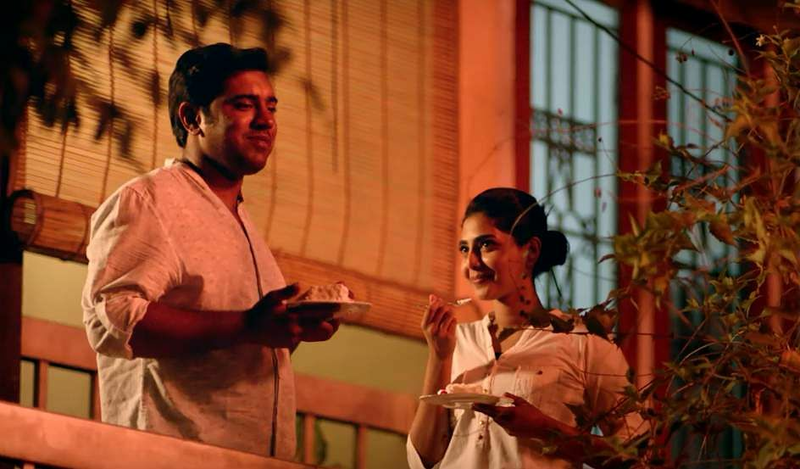 Her character is a techie in the film who meets Nivin's character, Kurian, at a crucial point in their lives. Directed by Althaf Salim, 'Njandukalude Naattil Oridavela' is all set for a September 1 release. She is also working in Aashiq Abu's next, 'Mayanadi' alongside Tovino Thomas and has signed a Telugu movie starring Kalyan Ram as well. Talking to TNIE, Aishwarya gets candid about how movies happened and what she sees as her future. "I used to do modelling while studying for MBBS at Sree Narayana Institute of Medical Sciences. I was getting film offers then itself but I decided that my studies are my priority. Though I wanted to do films badly, I decided I will wait till my exams are over. Soon after that, I happened to see this casting call at a nearby cafe called 'Cafe 17' for a movie to be directed by Althaf Salim. Later, I met him and he narrated the story to me, telling me that I fit the character description and I will have to attend two rounds of audition. I got selected in the first audition itself. Why didn't you chose films instead of studies when you first got offers? MBBS is a hard field of study and I wanted to concentrate on my exams. Modelling would take up only a few days but movies aren't like that. There are a lot of things that'd affect your studies and if I had taken up acting then perhaps I might not have completed my studies. I want to do good films, to work with good directors and act in good scripts. I do want to be where I would get the love and support of the audience. I do wish to be known as a good actress but no, I don't go over the top with my ambitions. I know where I stand. What is your take on the acting process? empathise with my character. The point is, details are what help me- what the character is thinking in a particular situation and how she would react. More than 'method acting', I try to empathise with the character. I am a very emotional person and, at the same time, I know that I am not a very good actor. I don't even know whether 'this' is a method or not. That said, I am trying to understand the method to better my acting in the future. So, right now whatever works for me to improve my acting I go for it. That's my mantra. Definitely the director. If the director gives me the instruction that the character would behave in a particular way, I would give my heart and soul into it. I might add my nuances but at the end of it all, it is the vision of the director and the scriptwriter. They know what the character is. I am nobody to twist their concept. I might add my own contributions but I would go forward and improvise only if they allow me to. Otherwise, I am completely a director's actor. Aishwarya talks about how in a span of a year she signed three major projects- in two languages. Ram) wanted the same dates so the latter is pending. Working with a debutant director. and I used to pester him with doubts but he would he would help me very patiently. I was less tense working in my second movie, 'Mayanadi'. The story was written based on my real attributes and mannerisms so it was easier for me to play the character. Soon after, I found how the movie is shaping up and that I didn't have to worry. So her character in Mayanadi is like how she is in real life? Not quite so. The character is not exactly like my real persona but it does have some of my attributes. It is just that the behaviour of the character in the movie were the ones within my comfort level. It wasn't like I had to work too hard to get it right. Working with Nivin Pauly in her first film. He is one genuine person. He is concerned about your growth as an actor and how the movie is shaping up overall. On the set, he would be concerned about every technician working in the film. I didn't know him before the movie so I am guessing that it also because he is the producer of 'Njandukalude....'. I felt I was working with a very supportive actor and I feel blessed to have worked with him my first film. Do you think people's notions about the film industry are exaggerated? No, I came to the film industry without prejudice. Safety was the only concern. As a woman, personal safety is one thing I take care of whether I am in my hospital or at the film set or even at a shopping mall. Other than that I never had a prejudice about working in films as such, unlike the general perception. Most of my friends are not from the industry and we never talked about the prejudices surrounding a film set. Instead, our discussions were more about how a movie's script was innovative or how the acting was brilliant. By the time, I had finished 'Njandukalude....', I was already friends with most of the team. If you take 'Mayanadi', it was a lot similar to 'Njandukalude..'. I felt I was working with some of the greatest minds in Indian cinema itself. All of them, whether it was Aashiq Abu or Shyam Sir (screenwriter Shyam Pushkaran) - both National Award winners- were dedicated to making the films. There was so much passion and love for cinema in the air. Discussing films was like opening new perspectives about the subject and it felt great. Currently, only 'Njandukalude...' and Mayanadi are the ones I am associated with. Though discussions are going on, nothing has been confirmed yet. Aishwarya says that it is destiny which changed her life. "I refer to myself as destiny's child," she says. "I believe all this is the evidence of destiny working its magic. Everything that has happened in my life has been happening for a reason. My parents, my friends understand that... Okay! This has been overwhelming." Aishwarya laughs. God has been very kind to me, she says. 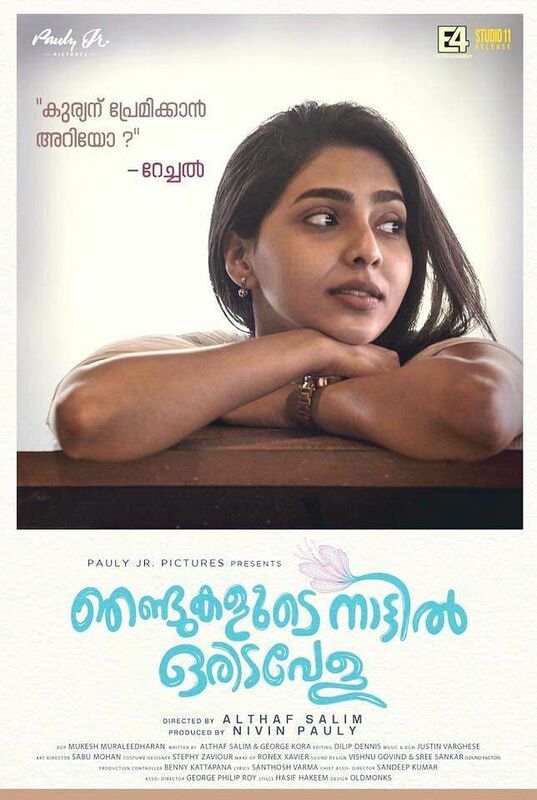 'Njandukalude Naattil Oridavela' also stars Lal, Ahaana Krishna, Siju Wilson, Sharafudheen, Shanti Krishna and Krishnashankar. Nivin Pauly has produced the film under the banner 'Pauly Jr. Pictures'. 'Mayanadi'' is a romantic comedy directed by Aashiq Abu and written by Shyam Pushkaran- Dileesh Nair duo. The movie stars Tovino Thomas in the lead role. Jayesh Mohan, who was the still photographer in Abu's previous flick 'Rani Padmini', will do the cinematography.